For the past five years, both The Hark Society and the Robert F. Kennedy Young Leaders have been engaging socially-minded young people in New York City to become directly involved in their communities, harnessing their passion, creativity and energy to effect change. In 2018, both organizations are at transition points: The Hark Society’s leadership are ready to pass the baton of their organizational duties, and Robert F. Kennedy Young Leaders is expanding, with new chapters launching across the nation. This moment of change presents an exciting opportunity for synergy and collaboration: a merger of The Hark Society and Robert F. Kennedy Young Leaders’ respective membership bases. For the past six years, Hark Society has connected young professionals with volunteer opportunities focused on helping after school activities reach kids in underserved communities in the NY area. As the Board of Directors of Hark Society has reflected on next steps for the organization, we have looked to other pioneering socially-minded organizations. With that, we are excited to announce a new coalition with Hark Society and the Robert F. Kennedy (“RFK”) Young Leaders program. The RFK Young Leaders program engages socially-minded young professionals in New York City to become directly involved in their communities by harnessing their passions, creativity and energy to effect change. The Young Leaders program is a part of the broader Robert F. Kennedy Human Rights organization, which has advocated for a more just and peaceful world since 1968.  RFK Human Rights programs have pursued strategic litigation on key human rights issues, educated millions of students in human rights advocacy, and fostered a social good approach to business. This alliance will allow Hark Society to reach a much broader audience as the RFK Young Leaders Program inherits key programming and an army of volunteers from Hark Society. Working alongside the RFK Young Leaders staff, the Hark Society Board and volunteers will continue to explore ways in which the Hark mission and Hark-developed resources will complement and expand the objective of Robert F. Kennedy Human Rights. We invite you to celebrate this exciting next chapter with us. the will, a quality of the imagination, a predominance of courage over timidity, of the appetite for adventure over the life of ease. Your full donation will benefit RFK Human Rights Organization & Hark Society's Scholarship Fund. All donations are tax-deductible. Add yourself to the waitlist here. We will contact you if tickets become available.